Offering bold, sporty style with a rugged edge, the Casio G-Shock is designed for adventure. Designed with military requirements in mind, this black rubber covered stainless steel shock resistant timepiece is made to last. Featuring an auto illuminator, stopwatch function, daily alarm and scratch resistant mineral glass. 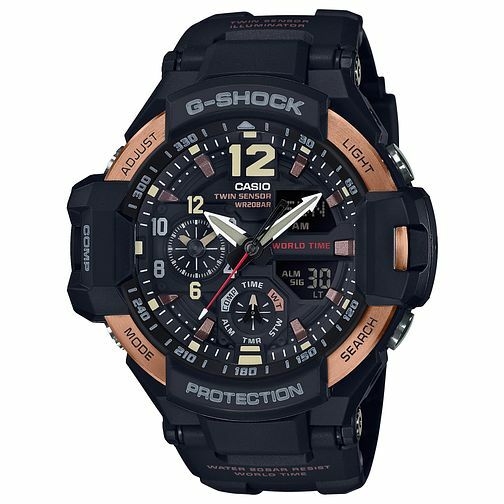 Casio G-Shock - The Technology of Toughness.